Introducing INSECTARIUM, color traveling multichrome eyeshadows inspired by Entomology- these ten shades specifically, are all named after colorful iridescent beetles. This collection is permanent. Sizes, options and prices are the same as for the Fatalis collection. The larger sizes have custom artwork. The 6/16 release will be eyeshadows only at this time, additional products may be added as scheduling allows. These shades differ from Fatalis in that they use different pigments than Fatalis. Same type of premium pigment, but different hue/color travel. They also have more vibrant base colors, while Fatalis shades are darker and employ more heathered base tones. I’ve photographed these color-shifting shades in numerous light sources to show difference results you might see. Last year when I released Fatalis, I made the mistake of not including enough light sources in my photographs- I included primarily the mixed lighting conditions, that the unique pigments react to the most. When these go live, each color will show numerous light sources, so you can clearly see how the shadows are most vibrant and reactive to artificial/mixed indoor lighting, and more straightforward under daylight balanced lights or sunlight. 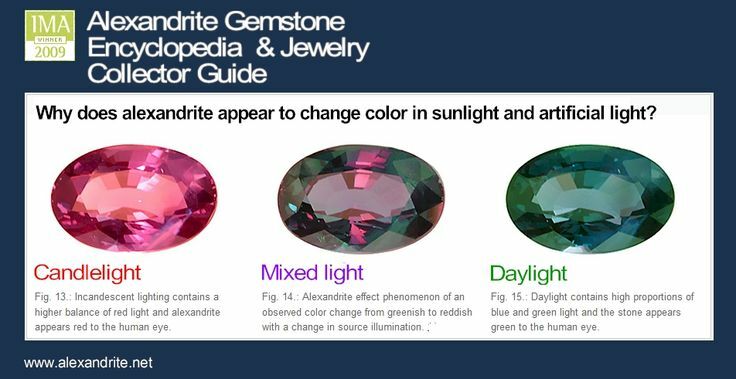 This is because the pigments are more reactive to certain wavelengths of light than others, much like the beautiful Alexandrite gemstone exhibits trichroism, reflecting and absorbing light differently in different directions and color temperatures. All of my photos are taken in various lighting conditions around my house and outdoors, under the existing light fixtures- I didn’t use a complex or intricate setup to photograph these colors. Some of the places I took the photos were at the kitchen sink, at my desk next to my computer/window/lamp, in the hallway, etc. Incandescent lighting is your run of the mill household light bulbs- typically not daylight balanced. LED and daylight balanced CFL are two different types of light sources with different reactivity to these pigments. As a rule, these are at their best in incandescent light, dimmer lighting conditions, and mixed lighting conditions. NYX cream eye base in skintone was used for all, and the product was applied with a flat taklon brush and then patted with my fingertip to further flatten the pigment particles for optimal reflectivity. Amazing results can also be achieved with a glue base, but I don’t photograph products for my site using a glue base. Ixchel is June’s Goddess of the month, another shade in the new monthly Goddess series which will feature a specially curated cheek or face product each month. Would you like to suggest a Goddess? You can do so here! From Goddess Gift.com: “As an ancient fertility goddess, Ix-Chel was responsible for sending rain to nourish the crops. When fulfilling that function she was called “Lady Rainbow”. She helped insure fertility by overturning her sacred womb jar so that the waters would flow. Though sometimes depicted as a goddess of catastrophe (the woman who stands by as the world floods), many of her myths show her in a more benevolent light—as a goddess who refused to become a victim of oppression. This was a woman who, when faced with adversity, took charge of her life and turned it around! Ix-Chel was almost too beautiful, this girl with opalescent skin who sat in the skies brushing her shimmering hair for hours on end. All the gods were captivated by her. All but one, that is. Kinich Ahau, the Sun God, seemed immune to Ix-Chel’s charms. Yet he was the only one she really ever wanted. For years she had longed for him as she watched him glide across the sky in all his golden splendor. But the more Ix-Chel followed him around, the worse the weather on earth became. As she chased after him the tides would rise, creating floods that inundated the fields and caused the crops to die. So enamored was she, that Ix-Chel did not even notice the havoc she was causing. The LEDA & THE SWAN collection is now available! The Leda & the Swan collection, inspired by the mythology of Leda, and the painting by Gianbettino Cignaroli. The collection contains ten frost eyeshadows, four soft lustre rouges, three multi-purpose/bronzers and two tinted lip balms. The collection is predominantly neutrals and easy-to-wear shades, with a few punchy brights. While the last few years of collections have been dominated by special effects type of shades, there have been many requests for the return of more straightforward, well-formulated, daily wear shades. This year, I’ll be working on some collections to fulfill those foundation needs. ​GIFT WITH PURCHASE TIME! Until 4/24, this special GWP premium color traveling eyeshadow is yours with $20 purchase. This is a sneak preview of a shade from a new collection I’m working on inspired by colorful insects. Entomology and the range of iridescent color effects found in insects is fascinating to me. This shade is CHRYSOLINA, inspired by the metallic color shifting hue of the Chrysolina perforata beetle. Orders of $20+ will receive this GWP of a demi sample jar with jar art, through 4/24. Last Halloween’s FATALIS collection was one of the most popular collections I’ve ever done. Every week I receive requests to bring it back permanently and create more eyeshadows using the same type of pigments. The color traveling pigments I’m using are unique in that are highly reflective/chrome finish, and they show the most saturated color effects and color travel when exposed to artificial lighting and especially mixed lighting of different color temperatures, much like the beautiful Alexandrite gemstone exhibits trichroism, reflecting and absorbing light differently in different directions and color temperatures. Daylight is more blue (higher color temperature), so this is why Chrysolina appears more bluish in sunlight and you can’t see color travel, as it is scattered by the broad lightsource (this is why most duochrome or color travel shadows are hard to capture on camera in direct sunlight, as well). Incandescent light is more red, so you see the violet shift. Mixed lighting conditions will show both shifts depending on angle of viewing and where the illuminating lights are. These were photographed outdoors, under a desk lamp with a daylight CFL bulb, and in the naturally occurring mixed lighting conditions around my home and office (window light, lamps, overhead room lights, etc). Galactic: Mission Two launching Black Friday at 9 AM EST! Here’s the full Galactic: Mission 2 collection, which will release on ‪#‎blackfriday‬ AM (I am in the Eastern Time Zone, so this will put us at 9 AM EST!) Mission 2 contains ten colorful, satin finish eyeshadows in vivid shades with a glowy countenance. Some are contrasting shifts, others are tonal shifts. This is a permanent collection. You can purchase deluxe sample or full size jars individually. Sample baggies are available only in sets of all ten colors. Also releasing on Black Friday will be Galactic: Mission 3 which will be a collection of 7 very glowy, paler toned highlighters which are multipurpose and can be used anywhere- eyes, face, lips, cheeks. Sneak peeks for those will come soon- I am sharing these with you as I complete the photos and materials for my online listings.